Availability: More stock due soon! OUR MOST POPULAR DRONE REEDS! In terms of competition successes, there is hardly a prize in the solo piping or pipe band competition scene which has not been won by pipers playing Ezeedrone reeds - in most cases the major prizes have been won multiple times with these reeds! 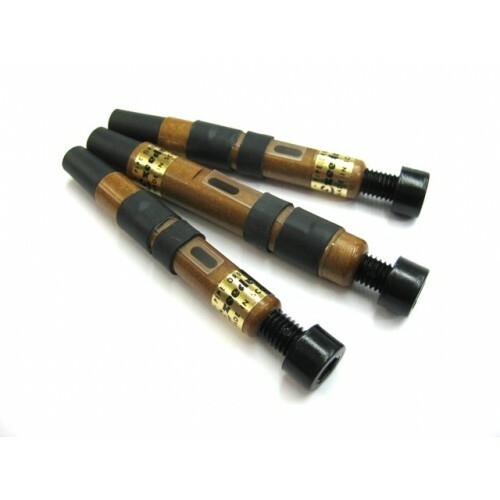 Available with Standard-length Bass Reed or Short (Higher Pitched) Bass Reed - an excellent option for Bass Drones that typically tune very low on the tuning pin. In order to maintain a high level of performance, you should carry out regular inspections of your Ezeedrone reeds. It is good practice to regularly check that your reeds are securely seated in your drones and that the bridles are set at the position which will provide maximum efficiency. 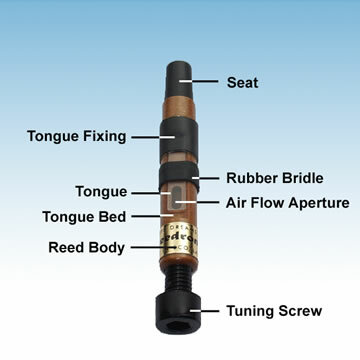 It is recommended that you carry out frequent visual inspections of your reeds to ensure that no foreign body is present, under or around the tongue area, which may impede performance. You should also monitor your reeds to ensure that they do not become excessively wet. The lifespan of Ezeedrone reeds will depend on a range of factors such as playing time, environment within the bag, climate and humidity and will vary from piper to piper. Whilst it has been known for these reeds to perform well at the highest level for many years, regular maintenance inspections will determine the best time to replace them.